When it comes to having a SEO strategy, keywords are the most important factor that will help you reach success and help you get points from Google to appear on the first page of a Search Engine Results Page (SERP). Finding the right keywords will make or break your strategy and we break down keywords into short tail and long tail keywords. The same idea works for hashtag use on social, and social media marketers should always have a hashtag strategy in place. First things first, hashtags have come a long way. They were first seen on Twitter and are now found on most social platforms – even LinkedIn but they are clickable on the mobile app only. Many brands and marketers still overlook hashtags and do not look at them as a priority within their social media strategy. Hashtags expand your reach, they place you within hashtag communities and they work as keywords in terms of Social SEO (stay tuned for a Social SEO blog post). They need to be strategically thought out which will benefit your brand with key audiences and generate an overall positive outcome. 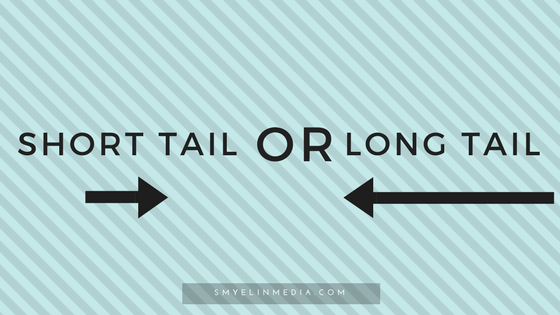 Back onto short tail and long tail keywords, let’s briefly look at the two and what their differences are. Short tail keywords are words or phrases that include no more than 3 words. Examples: “running shoes”, “chinese food”, or “necklaces”. These are the first words to come to mind when you think of googling just anything. Long tail keywords however, are a little different. They include short tail keywords but have more specific words to follow and are more than 3 words. The good thing about long tail keywords are that they are definitely more targeted and not as broad. Although you may not bring in as much traffic as short tail keywords, you are bringing in traffic that is looking for what your services/products are. Examples are: “female pink running shoes”, “chinese food in Toronto”, or “rose gold necklace”. The same works for hashtags, and to have a hashtag strategy, you need to do your research and build up a mixture of both short tail and long tail keywords. Let’s take a look at the pro’s and con’s of both. Higher volume. Take a look at the hashtag #fashion on Instagram. It has over 418 million posts. High competition. 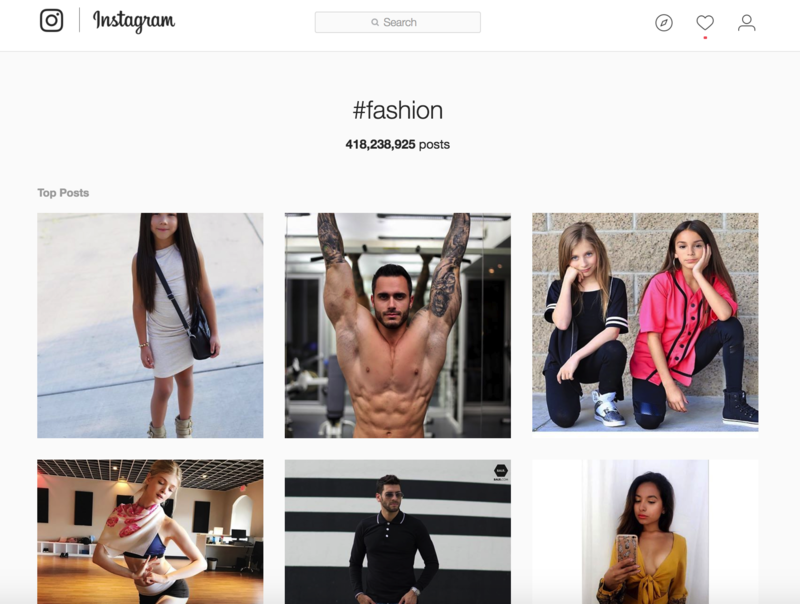 If there are over 418 million posts for the hashtag #fashion, that means this hashtag is being used on the regular. Chances of someone actually seeing your post in this thread may be slim as there is constant change since so many people are using it. The focus may be low. Someone could be searching for men’s shoe fashion, and if they don’t see it within that hashtag group, they will research with a more targeted hashtag. Fake followers/likes. *Gringe* One of the worst things about short tail hashtags is that when you use them in your posts, you’ll notice you get A LOT of automated comments with “cool post” or a random emoji that is totally irrelevant to your actual post. I posted a picture of a pumpkin last year and got a comment like “this is so inspiring”. Fake? I think so. Your accounts can get red flagged – especially on Instagram. Low competition. If you search up #fallfashion2017, there are just over 10k posts. 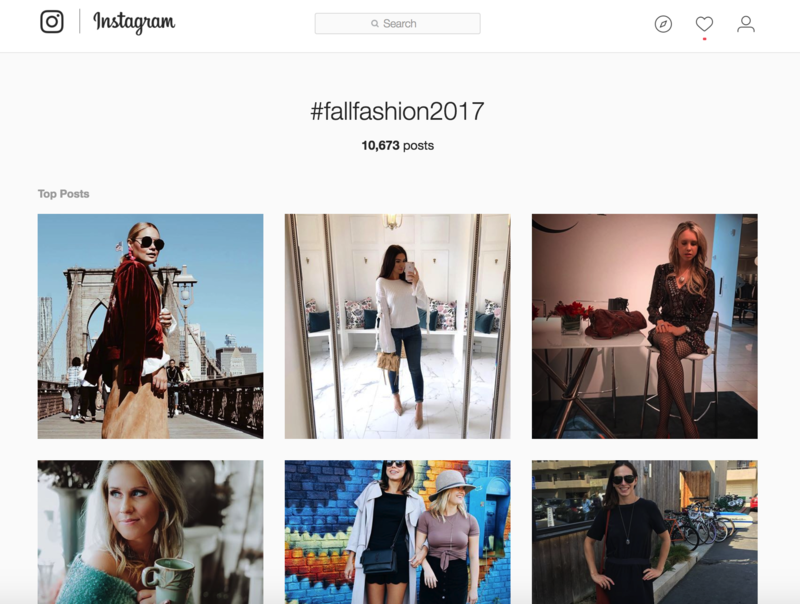 Take a look at the screenshot – even in the first 6 posts, every single post is regarding fall fashion trends for 2017. High focus. The people that click on or search this hashtag know exactly what they’re looking for and will most likely engage with your content. Real, engaged followers. If you’re bringing in traffic that are targeting specific individuals and their needs, you will get real, authentic and genuine engagement. And engagement is GOLD on social media. Clearly having a hashtag strategy that incorporates more specific, long tail hashtags have way more pro’s than short tail keywords. At the end of the day, what’s important in ANY social strategy, is that you are bringing in the right, targeted audience. Use 15 to 30 short tail hashtags in all of your posts to get maximum results and do your research. If you’re a local business, try adding your geolocation to your hashtags like “#torontohairstylist”, or “#torontorealtors”. 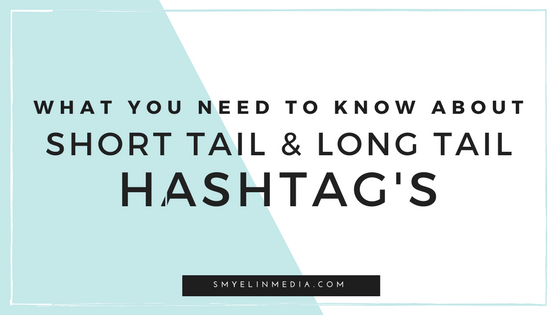 Are you using long tail hashtags in your hashtag strategy? What are some trends that you notice? If you need help revamping your hashtag strategy I want to hear from you! 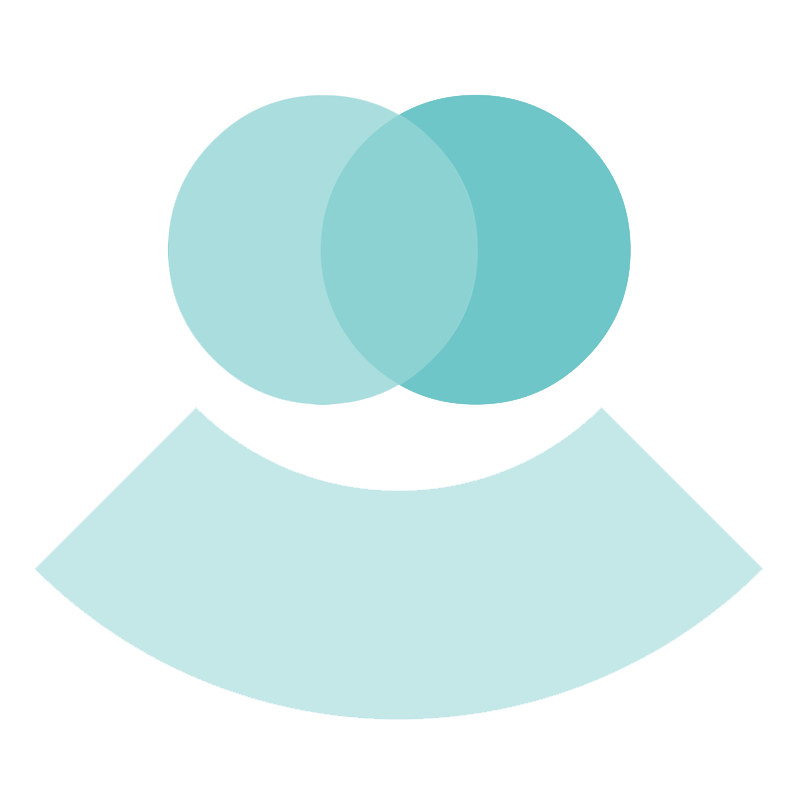 Connect with me here and let me know what you need help with! © 2016 SMyelin Media Inc. All rights reserved.